Neuroscientist and Professional Triathlete living in Waukesha, Wisconsin. started coaching for Evolve coaching systems as a USAT certified multi-sport coach in 2016. Lenny holds a PhD in Cognitive Neuroscience from Washington University in Saint Louis and works as an Assistant Professor in the Physical Therapy department at Carroll University. 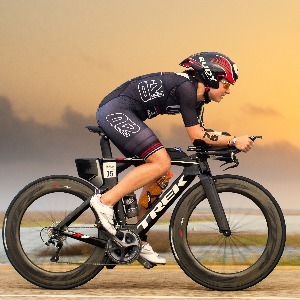 Lenny races triathlon on the QT2 Systems PRO Elite Team and is coached by Tim Snow. Success. Coach Lenny Ramsey has been notified of your message.